The initiative, which would direct the governor to seek congressional approval to split the state into three, has enough signatures to get on the ballot. 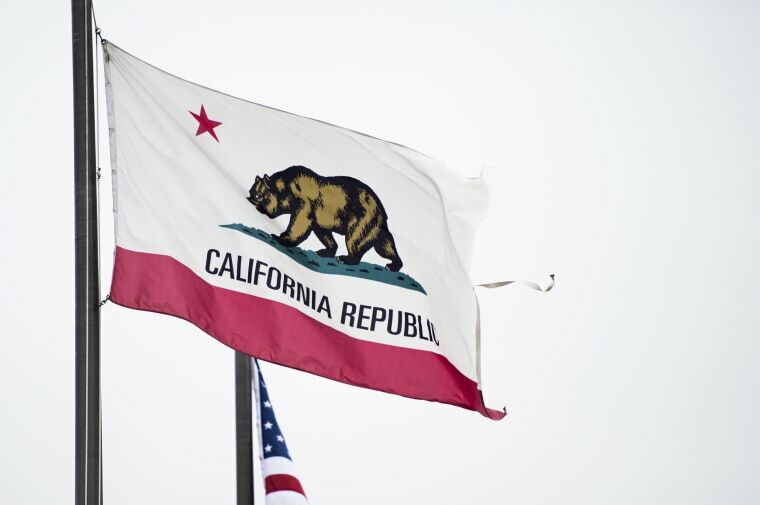 Voters in the massive state of California, touted as having an economy larger than most countries, could decide whether to support a plan calling for the Golden State to be split into three. An initiative that would direct the governor to seek congressional approval to divide California into three states has enough valid signatures to be eligible for the Nov. 6 ballot, the secretary of state’s office said Tuesday. If the initiative is not withdrawn, it will be qualified for the ballot on June 28. Even if approved by voters, it faces the hurdle of approval by Congress. The initiative is backed by Silicon Valley venture capitalist Timothy Draper. A spokeswoman for Citizens for Cal 3 hailed the advancement of the proposal Tuesday night. "The California state government isn’t too big to fail, because it is already failing its citizens in so many crucial ways," Citizens for Cal 3 spokeswoman Peggy Grande said in a statement. "The reality is that for an overmatched, overstretched and overwrought state government structure, it is too big to succeed. Californians deserve a better future." Backers say that splitting California would lead to better representation from state lawmakers, and better results on issues like education, infrastructure and taxes. According to the secretary of state’s office website, the number of valid or projected valid signatures collected for the measure is greater than 110 percent of the signatures needed to be eligible for the ballot. "The initiative needed at least 402,468 projected valid signatures to qualify by random sampling, and it exceeded that threshold today," the secretary of state's office said in a statement Tuesday evening. Language in the initiative says the first of the proposed three states would encompass the Bay Area and other counties up to the Oregon border; the second would include Los Angeles, Monterrey, Santa Barbara, Ventura and other counties along the coast; and the third would include San Diego County, parts of the Inland Empire, Fresno County and some other central counties. Draper was also behind a proposed initiative in 2014 that would have asked that California be divided into six states, but the secretary of state found that backers did not gather enough valid signatures to qualify for the 2016 ballot, The Sacramento Bee reported at the time, and that measure did not go before voters. Draper spent $5 million to try and get that issue before voters, according to the newspaper. Democratic political consultant Steve Maviglio, spokesman for the OneCalifornia committee, which opposes the three-state initiative, was asked for comment Tuesday evening and pointed to his statement on the NoCABreakup Twitter page. "This measure would cost taxpayers billions of dollars to pay for the massive transactional costs of breaking up the state, whether it be universities, parks or retirement systems," the statement said. "California government can do a better job addressing the real issues facing the state, but this measure is a massive distraction that will cause political chaos and greater inequality." California has the world's fifth-largest economy, with a gross domestic product of more than $2.7 trillion in 2017, The Associated Press reported in May, citing federal data. The state's economic output was surpassed only by that of the United States, China, Japan and Germany.